Do you ever wonder how our religious and political divides of today came to be? How it is that the Republican party became a vehicle for the notion of America as a Christian nation? We’ve all been feed the story that it’s somehow part of originalism. We’ve all been been told that America, as conceived by our founders, was John Winthrop’s Shining City on the Hill. Even our leaders today seem to succumb to that mythology. But the fact is that the idea of America as Christian nation is a relatively recent construct. 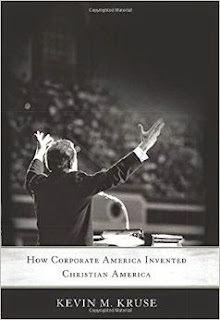 One that came both out of the Cold War and of business opposition to Roosevelt and the New Deal. This unholy alliance between Christianity and the Chamber of Commerce would continue to shape our politics and our government right up until today. Now Princeton Professor Kevin Kruse tells the story in One Nation Under God: How Corporate America Invented Christian America . We all remember the youthful spiritual song Dem Bones, about the ankle bone being connected to the shin bone, the thigh bone being connected to the hip bone, etc. 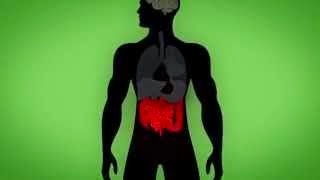 What the song didn’t include is the connection between the stomach and the brain. And it’s not just about what you eat. It's about the vast array of bacteria and microorganism that live in your gut, and the impact they have on how your brain works. 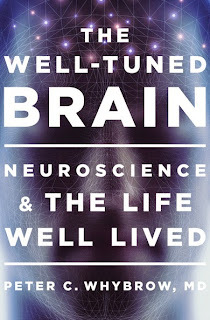 Can a Well-Tuned Brain keep up with the modern world? Everyday it seem the world speeds up. The advances of technology, the need to make faster decisions, multitasking and a sometimes dizzying array of options, are all part of the creative destruction that is making the world a more efficient an in many ways, a better and freer place. On the other hand human evolution is a slow, deliberate process. So, to what extent have our brains evolutionary ability kept pace with 21st century life? To what extent is this true cognitive dissonance acting as a kind of governor on our ability to do our best in this modern world and in turn what impact is it having on how we treat the world around us. 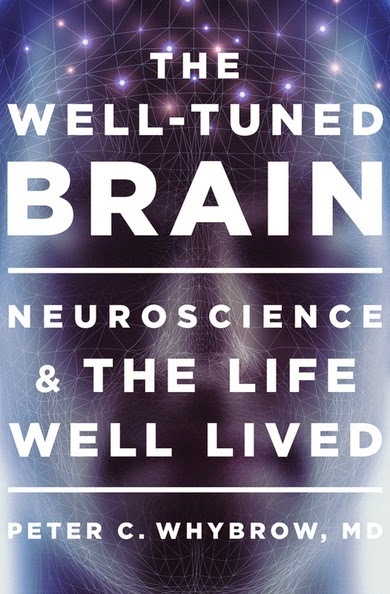 These are some of the ideas explored by the Director of the Semel Institute for Neuroscience and Human Behavior at UCLA, Dr. Peter Whybrow, in his new book The Well-Tuned Brain: Neuroscience and the Life Well Lived . Well the other side of that same coin is that Senator George Mitchell, through his skill as a negotiator and a listener, can find ways for people of opposing views to get along. That rather than the polarization of today, or a political world where everyone is an outlier, there are still ways to find common ground. That often, when no one is entirely happy, that’s exactly when we know the best compromise solution has been reached. Yes, compromise. Something that’s become a dirty word today, but used to represent the highest and best accomplishment of a skilled negotiator. 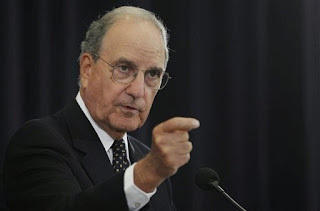 Amidst the clanging of a political system that sounds more like a boiler factory, Senator Mitchell has written a memoir The Negotiator, that reminds us of both of a time gone by and a vision for what still might be. It has often been conventional wisdom that the military is always fighting current wars, based on lessons learned from the last war. That’s why we used centralized WW2 tactics in Vietnam, and then turned around and used the lessons of Vietnam in Iraq. But the fact is that today there is a whole new breed to military tacticians and strategists whose ideas come not from the last war, but from the creative destruction of places like Silicon Valley and and our most advanced and cutting edge business schools. Ideas that eschew top down, large organizational command and control and instead respond to the need to collaborate, be nimble, and embrace a team oriented approach to management. In today's military much of the movement in this direction has come from General Stanley McChrystal and his team. As the leader of the Joint Special Operation Command, this new approach was essential in fighting an enemy who itself was decentralized. 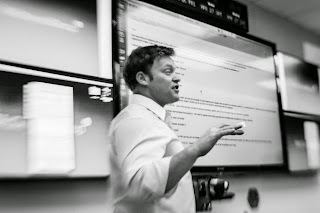 But It was an approach that had to first break down traditional silos, rethink the link between communications and command, create a flatter organization amidst a culture that was build on top down thinking, and bring flexibility to an institution that revered tradition. We are a culture obsessed with youth. We are told that youth is wasted on the young, but we do everything in our power to stay young. 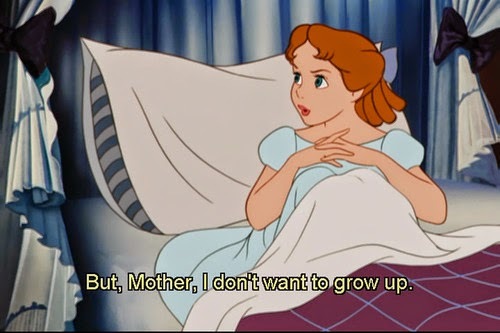 Growing up is seen as giving up. We are told that with each passing year, doors close behind and head of us. In short, youth is and has been the foundational cultural idea of the West for almost half a century. From the 60’s mantra of “never trust anyone over 30,” to to today when boomers are being pushed out by millennials. It sometimes seem that every generation has its disease. In earlier generations it was Tuberculosis, in the 40’s and 50’s the fear and the scourge of Polio gripped the nation. In the 80’s and 90’s, the fear and reality of AIDS overwhelmed the national consciousness. When we look at these diseases...the death tolls from them, the way they were perceived, the medical mystery, the research, the treatment and the movement towards a cure...we learn a great deal, not just about the march of medicine, but about the culture of the particular time. 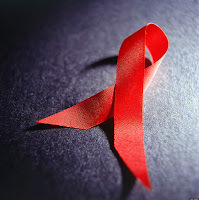 We see how disease evolves and what it says about our collective character. what we really desire, and helping us in finding our pace in the world? Woody Allen in Annie Hall, saw the world divided only into the “horrible,” and the “miserable.” What kind of a construct is that? Certainly not the one laid out by philosopher Frederic Lenoir in Happiness: A Philosopher's Guide . Nietzsche said “that which doesn't kill us, makes us stronger.” Little did anyone know at the time that those words have a powerful psychological basis. Everyday we hear about trauma. About people surviving horrible tragedy to themselves and to their loved ones. And we all wonder how do they go forward. We know for example that the incidence of divorce, after the death of a child, is well over 50%. We know that the trauma of war and combat can take years, if not decades, to come to grips with. We see the horrors of genocide, tragedies like 9/11 and Oklahoma City and we wonder how to people cope and why, even in the face of such horror, so some people thrive and come out stronger. 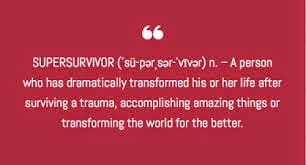 This is the phenomenon that my guest David Feldman and Lee Daniel Kravetz look at in their new book Supersurvivors: The Surprising Link Between Suffering and Success .